I have been buying more Clivias …. 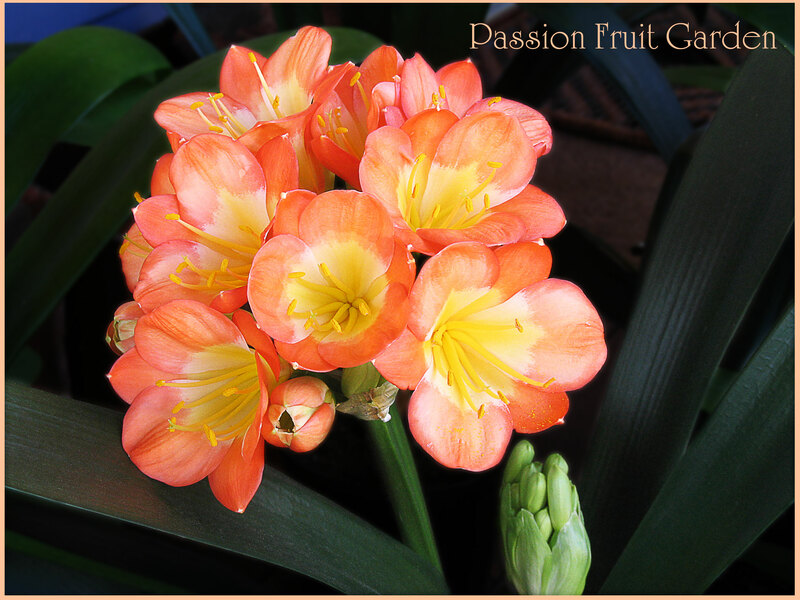 As you have probably guessed, I have been back to Clivia Classiques in Forrestdale. I must admit, I am a bit obsessed at the moment. Clearly, I am going through a stage. I have even had under my house terraced, especially for my new purchases. 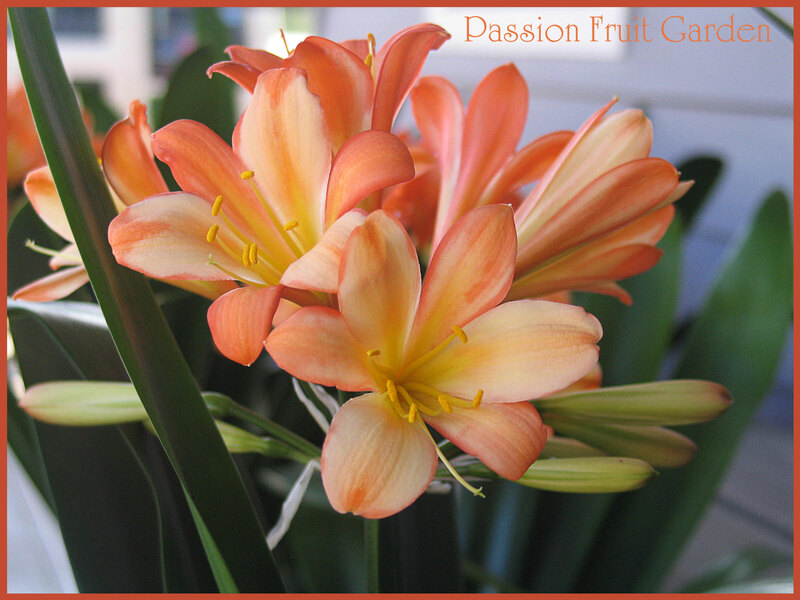 I keep going back to Clivia Classiques to check if there are any in bloom which are different to what I have already. It is a bit tricky though, as it is not until they are all together that you can see the subtle differences between the blooms. Photographs don’t really help as the colour is always just that little bit different in real life. Nonetheless, I am pretty happy with the diversity of my new collection. I noticed the flower in the above photo as I was walking around the nursery. I was attracted to the fact that it had whitish stripes. I decided to take a chance on it. Here is the same plant a week later. I am very excited about this guy. It is quite distinctive. I am very chuffed that I spotted it in the sea of blooms. I bought this one yesterday on our way back from Bridgetown. It is a brilliant orange. Its brilliance really stood out from the others. An added bonus, the plant, and flowers, are huge. My sister Sandra picked this one out for me. She was going to Clivia Classiques when I was in Bridgetown so I asked her to look out for a red one. I think she did pretty well choosing this guy. This one is classified as a ‘bronze’. Again, I spotted it in the sea of orangey red. I found this one in the special collectors’ room. Its flower is much rounder than the others and it has a very distinctive yellow throat. . If you are looking for a low maintenance plant for a shaded position, Clivias are definitely worth considering. They are stunning in flower and have lovely leathery leaves the rest of the year. I have been delaying this post hoping two in my garden would flower in time, but they are still in bud. 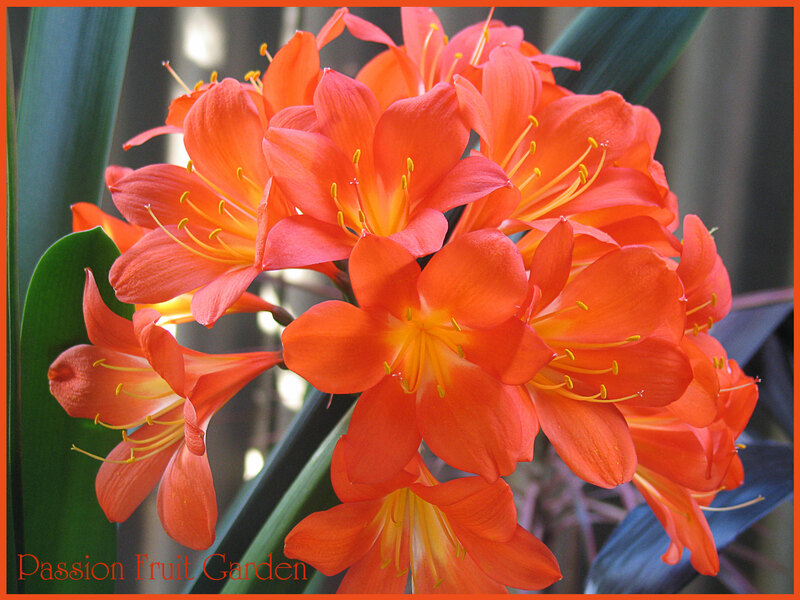 I am keen to record their flowers on this blog, so there may be one more Clivia post. 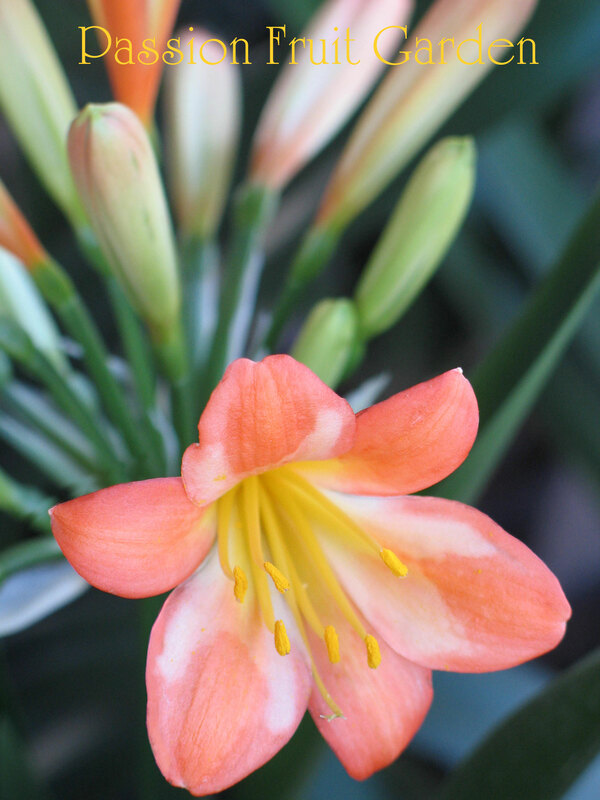 And, I may end up going to Clivia Classiques one more time this season or … enough, may be enough. Whatever, I have really enjoyed buying them and now look forward to creating my Clivia garden. If anyone is interested Clivia Classiques is at 630 Armadale Road Forrestdale WA 6112 (Corner of Armadale and Nicholson Roads). 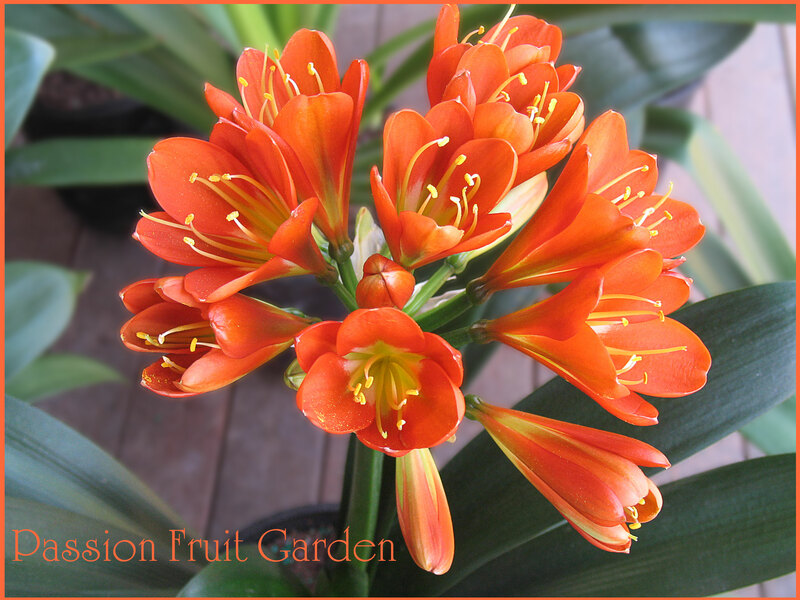 If you missed my previous post on my other Clivia purchases, here is the link. 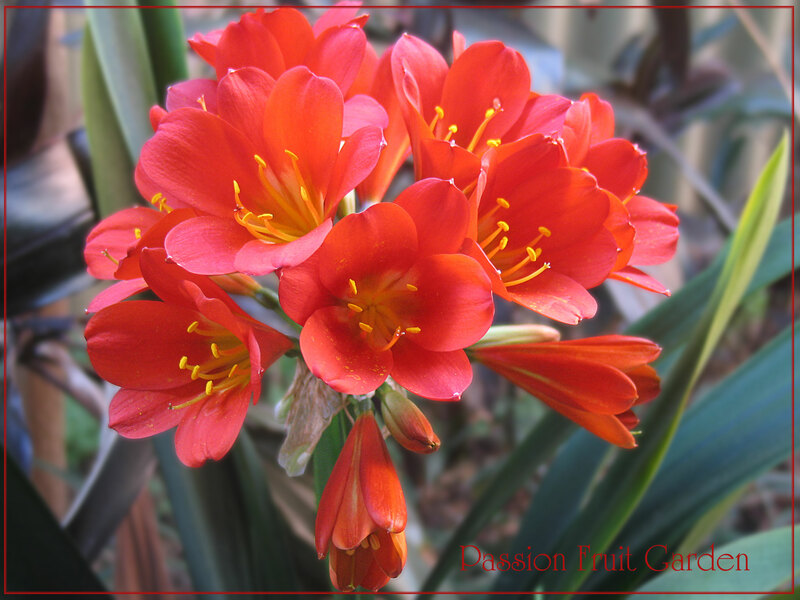 This entry was posted in In My Garden and tagged Clivia Classiques, Clivias, Where to buy Clivias in Perth by Glenda. Bookmark the permalink. The colors are absolutely stunning! Are your roses done for the season? Diane, you forget I am in the southern hemisphere. The roses haven’t started yet. Another month and I should have some rose photos for you. Duh! You’re right. I was just outside all day yesterday weeding, trimming and getting the plants ready for our winter. Looked over at my rambling roses and thinking how well they were holding up. Hi Carol, They are beginning to fade already. Oh well, next year will be exciting. I’m no gardener, but you have chosen ‘happy’ colours and I bet they look stunning – do you keep walking out to admire them? Hi Maree, Clivias don’t cope with sun or frost. They are ok under trees where they get dappled light but no full sun. Ditto no frost and not too much water. how pretty are these! a lovely addition to your garden i am sure. Sherry, I think it is time to stop buying them. 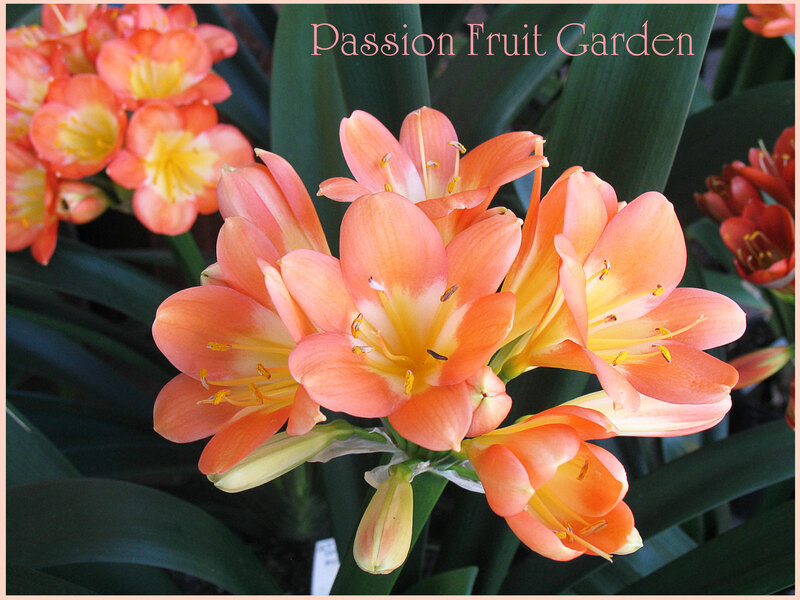 Your clivia blossoms are stunning, love the big bright flowers. Hi Cheri, So do I – a little too much I fear. Hi Ella. It is contagious, already some friends have headed to the nursery 🙂 Don’t worr,y within a month all the flowers will have gone.